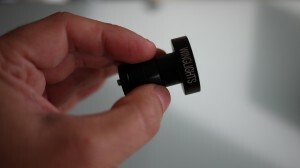 Launched successfully on Kickstarter towards the end of 2014 and now in full production, we test the WingLights bike indicators from CYCL, a budding trio of entrepreneurs with a passion for cycling. 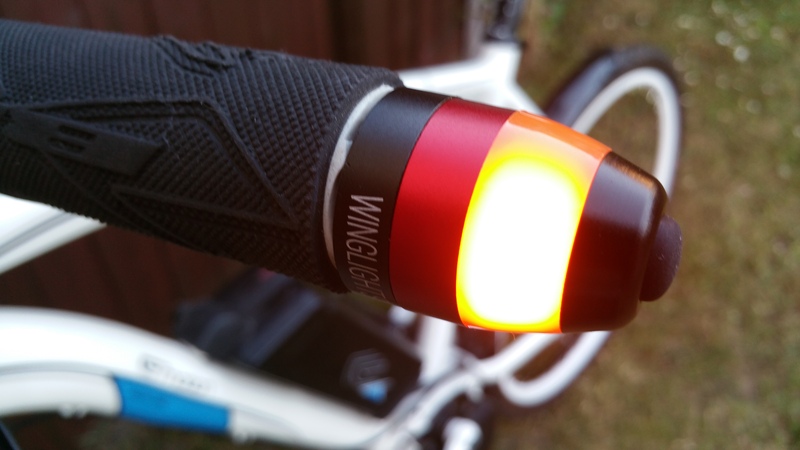 Winglights are direction indicators for your bike. 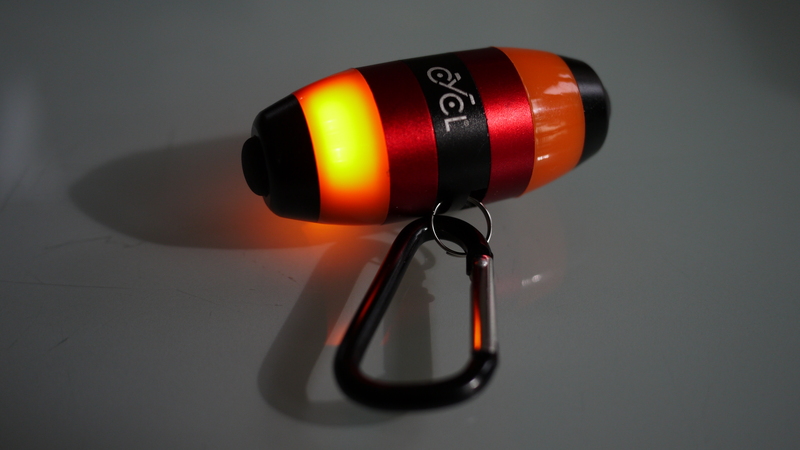 They attach to the ends of your handlebars magnetically and have a flashing amber LED light to help alert and improve your visibility to other road users while turning and changing lanes. They are activated by pressing the button on the end of each light. Simple as that! Once you’ve reached your destination, you can stop them from being pinched by simply detaching them and ‘snapping’ them together using the powerful magnets to form a keyring. 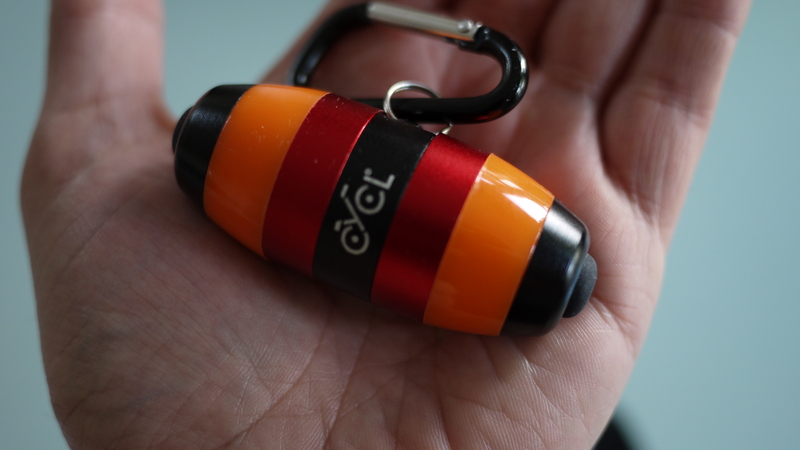 You can then attach it to your jeans or a backpack using the supplied carabiner. They are made from CNC aluminium, are waterproof and powered by 4 x CR2032 batteries (2 per light) which promise up to 2 months’ worth of usage (or around 12 hours of continuous operation). Alternatively, you can use rechargeable batteries if you wish, which are also compatible. In terms of additional weight on your bike and portability, the indicators weigh only 30 grams each and the mounters are 28 grams each. The idea for WingLights came from three friends – who were also an international team of designers and engineers – that went on to form a company called CYCL. After moving to a central base in London, the company then launched a KickStarter campaign back in November 2014. 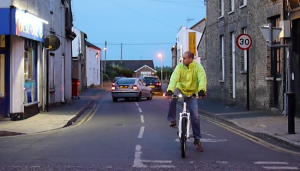 With the funding target of £8,500 quickly reached and doubled, WingLights went into full production earlier this year and can now be purchased directly from their website. The idea behind the product is that it supplements your normal hand signals, meaning you can indicate sooner, or longer, than you might feel comfortable taking your hand off the handlebars for. The lights are very simple to operate. Once you’ve turned the light on, it will flash for about 45 seconds before it turns off automatically (although you can turn it off sooner with a quick depression of the button again). The lights are powered by a pair of CR2032 lithium button batteries. You can pick up spares cheaply on the internet; a quick trawl brought up several sites selling twin-packs for around £1.50. I just used a Stanley knife to cut around mine which took less than a minute. The lights are currently only suitable for straight, bilateral or curved (up to 30 degrees) handlebars, with an inner diameter of 16.9mm to 19mm. If you’ve a road bike with drop bars, then you’re out of luck. However, if you’ve got bullhorn or cruiser bars, then the first release of the product won’t be for you – but a new mounter is being developed to fit these these type of bars. Once the bar ends are accessible, you need to fit the mounters which have a rubber ring connected with a screw. Turning the mounter anti-clockwise compresses the rubber ring, forcing it to expand laterally which then helps keep it tightly in place inside the ends of your handlebars. You need to orientate the mounters so that when the lights are attached, the light is angled front/back rather than down/up. This is easily done by twisting the mounter. Also on the mounter is a small notch, which lines up with a nub on the light so you don’t have to fiddle around trying to find the optimum position. 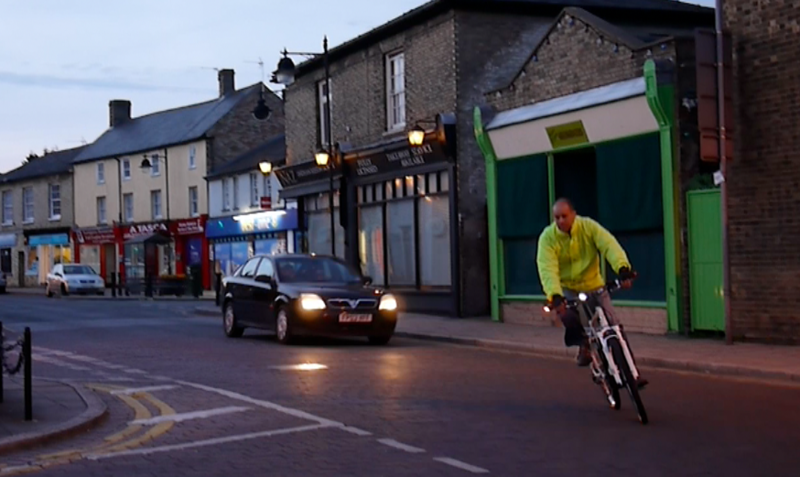 I took my bike, with the newly fitted WingLights, out for a ride in my local village. Having a quiet location at my disposal, I had plenty of time to practice turning the lights on and off. It didn’t take long to find a comfortable position of just loosening my hand slightly and extending my ring finger to push the on/off button on the light. If you have an electric bike with a throttle though, you’ll obviously have to momentarily let go of it. The button is nice and light only requiring a light tap. I also ventured into a busier, local town. In busy conditions you need to have your wits about you, so you don’t want to spend time faffing around trying to find the light button when you need to make a quick decision on the road. I found myself intuitively using them when making proper turns into roads or at junctions with traffic lights. I didn’t use them when passing buses at bus stops, vans making deliveries, as I felt it was probably a bit overkill for that. 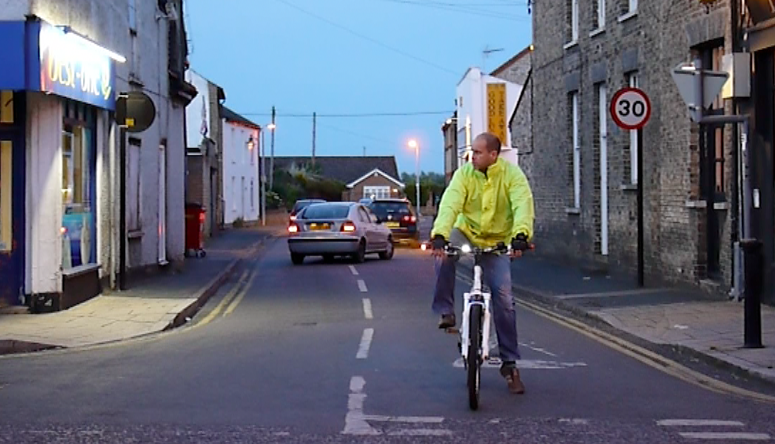 I spoke to a dozen or so car/van drivers while out testing the WingLights. The majority of them said that they saw the lights. A few commented that while they knew what the intention was, they felt other road users might not, as the general expectation is that cycles don’t have indicators. However, while sounding that caution about others, collectively they had recognised how intuitive they are! They all felt it was a useful accessory for cyclists, so the overall verdict was encouraging. The main difficulty with using products like this is that other road users don’t expect cyclists to be using anything other than their hands to signal, so you should not expect to rely on them solely. In fairness, this is not the intention of the makers, who state that it is to be used in conjunction with hand signals. Where I found it particularly useful was when sat stationary at a junction, i.e. traffic lights turning right or approaching a right turn that involved changing over into the outside lane. It’s uncomfortable to hold your hand out for 30 seconds while riding or waiting for the lights to change. What I did was look over the shoulder and indicate with a hand signal first before turning on the indicators. While sat at the junction the cars in front/behind can see the indicators flashing. Then as the lights turned green, another hand signal before making my move. Then a quick flick on the button turns the lights off again. The concept of indicators for bikes is not new and there are already other products that are, or have been, on the market; recently these include a cycle helmet that incorporates indicators and a brake light. There were a couple of suggestions that I have made to the designers of the lights. They struggle to be seen on a really bright sunny day and an ‘ultra bright mode’ that can be activated for conditions like this would be useful. We tested them in overcast, dusk and night conditions and this is where the current model is best suited. The bar mounters are also easily scratched, if like me, you rest your bike against brick walls. Perhaps a rubberised coating would help to alleviate this. On these points CYCL fed back that the ultra-bright mode is a good idea for consideration in a future updated version. The rubberised mounters were considered but they chose not do it so as not to reduce the power of the magnets. 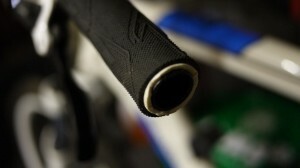 They plan to make some small rubber plugs that you can fit on the bike when you remove the lights. They will fit the keyring when the lights are in use. WingLights are on sale now, in Carbon Black, Electric Red or Nite Rider – all cost £34.99 each. 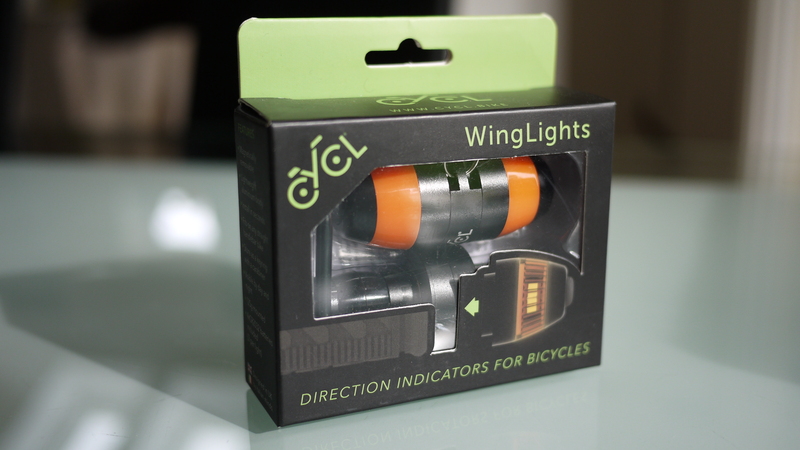 Many thanks to CYCL for sending us the WingLights to review. The chaps over at CYCL have given us an extra set of WingLights to give to one lucky person in our Pedelecs competition!